We have had so many days in a row of classic and traditional and stately, and well, regal. I thought we could use a foil to all of that. 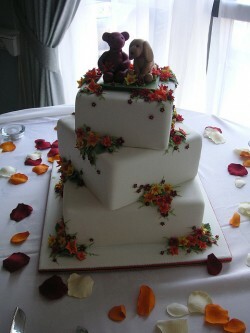 And so, I’m pleased to share this charming cake with you on the day after The Big Wedding. Happy Wedding Day Kate and Will! It’s impossible to post a picture of any cake today. Because we know that today somewhere in England..there will be a cake at a wedding to trump all other cakes. 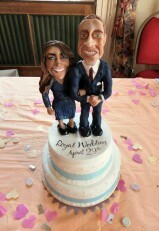 If I was Kate Middleton..
And the Oscar for “Best Cake Featured at a Wedding” Goes to.. I know what you’re thinking…two posts in one day?! What! Consider this my wedding gift from me…to you…no thank you note required. Oh, who am I kidding? I have Royal Wedding Fever. I’d post 14 posts a day if Brooke would let me. I indulge in her love of plaid..so maybe she would. So yesterday I introduced you to the Royal Wedding Ice Cream Cake from Baskin Robbins. 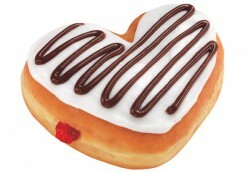 Well, if you aren’t an ice cream and cake kind of person, here is another option for you: the Royal Wedding Doughnut. Oh yes. Who needs Fiona Cairns when you have Baskin Robbins? Um, this is not a crack on BR because…ice cream AND cake together…magical. Just when I thought my cake resources where running a bit dry this beauty pops up! First and foremost…is this not a beautiful picture? 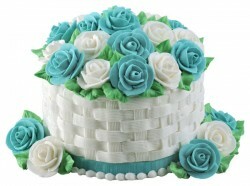 Anyway, on with the cake! I adore pink. It’s my absolute favorite color on the planet. However, I personally think that pink wedding cakes can be…well…let’s be honest…tacky. 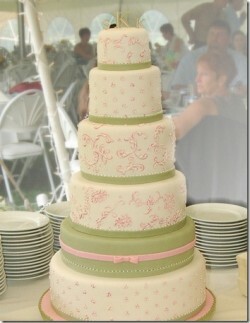 I don’t know why, but baby pink on a cake just doesn’t do it for me. 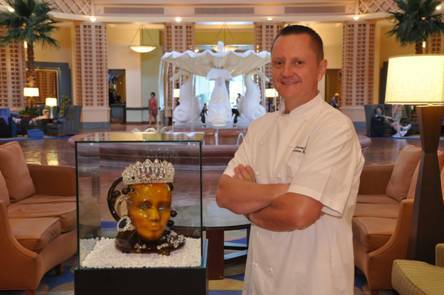 This cake strikes my fancy though. The first tier has a sophisticated pink and cream diamond pattern. The second has pink fondant stripes. 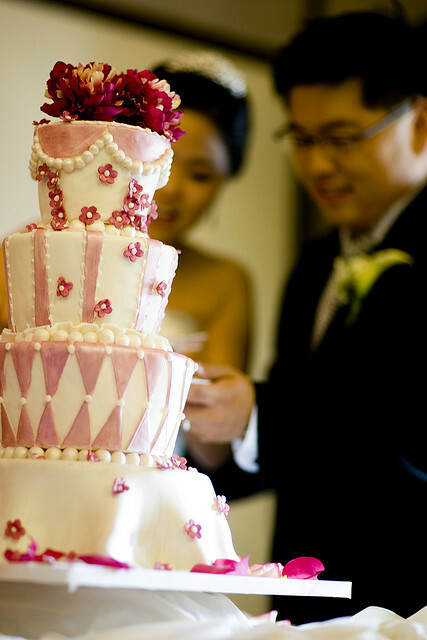 But what really sets it apart are the adorable tiny dark pink fondant flowers that are scattered across the cake. To. Die. For. Instead of a cake topper, this couple decided to play with the dark pink color and add some dark pink gerbera daises. It’s a nice day for a Black & Pink Wedding.. I have three loves..blogging, eating, and shopping. Since I often combine my love of blogging and eating (hello, cake), today I decided to combine blogging with my other love: shopping. Save On Bridesmaids’ Gifts with The Knot Wedding Shop Online Store! Save 25% Sitewide with TheKnot.com’s Four-Day Sale! 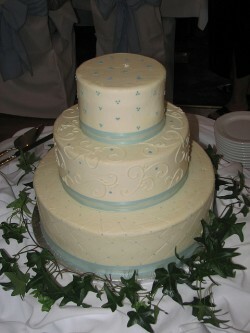 This is the cake for the bride who just can’t figure out where to add her something blue. A royal wedding calls for a royal cake baking contest.